WOW! 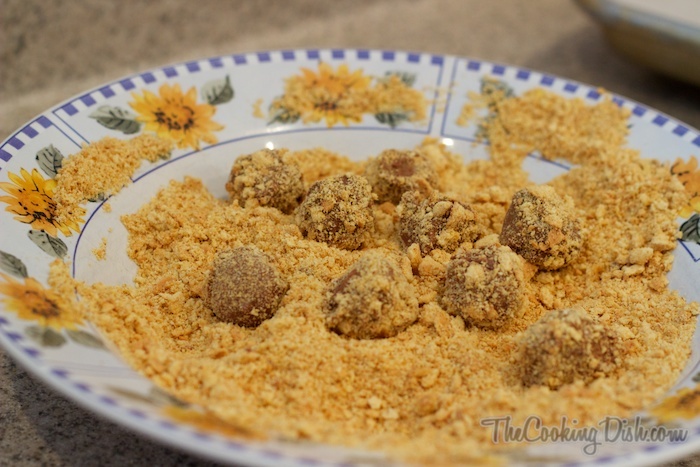 It’s been a crazy couple of months, and I’m glad to finally be posting another recipe. 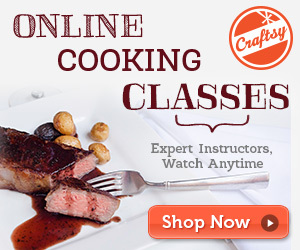 As some of you know I work a full-time job and I also run a freelance web design business, which I absolutely love, and I’m also creating two recipes a month for BettyCrocker.com and Pillsbury.com. 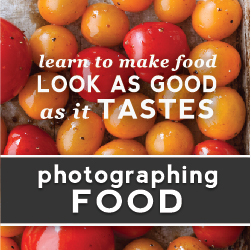 You’ll be seeing some of those recipes show up on their sites in the near future. With that busy schedule I’m feeling awesome that I finally had a chance to post here again, and I’m extra excited that today’s dessert is both incredibly easy and super delicious! I have to admit though that now that I have a small window of free time, I’m having a hard time resisting the urge to turn on Doctor Who (Season 6 is now on Netflix!!) and zone out for a while. I’m typically petrified of aliens and the paranormal, but man, I’m loving that show. I think it’s helping me overcome my fear that an alien is going to find me and possess my body or eat me. Considering my recent diet, I’m sure I’d taste like a spoonful of sugar, just what a hungry alien needs to polish off a well-rounded meal. And now you’re wondering what on earth this S’more Babies recipe has to do with aliens. Well, I’ll tell you. Absolutely nothing, and I think I’d like to keep it that way. However, these little critters are absolutely great movie snacks and party appetizers, and it requires absolutely NO FIRE (darn it!). Yeah. That’s not a typo. As it turns out, it’s much easier to call these things Smurds which is one syllable and easy to remember. As a bonus all you manly men out there can stay macho by not saying S’more Babies whenever you want some munchies. As long as you don’t think of what it stands for, you’re good to go. It’s also wrong to eat babies. But you can call them either one and it’s okay. Okay, on to the recipe. As always, gather all your ingredients… all three of them. 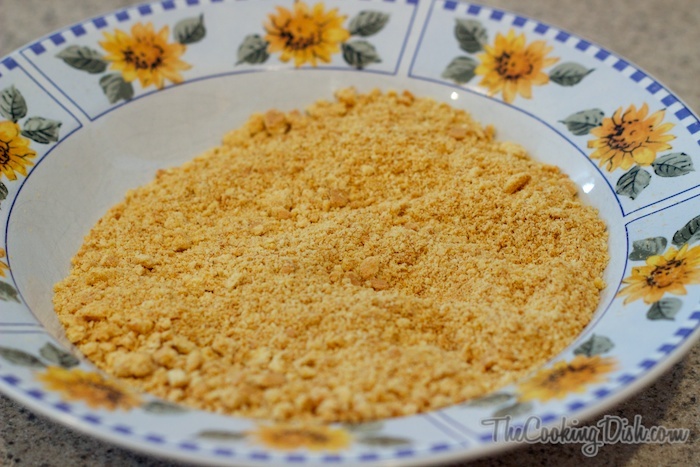 Smash up your graham crackers and place them in a bowl. I tried to keep it clean this time around by containing them in a sandwich bag and using the nearest sledge hammer meat pounder I could find to reduce them to mere crumbs. 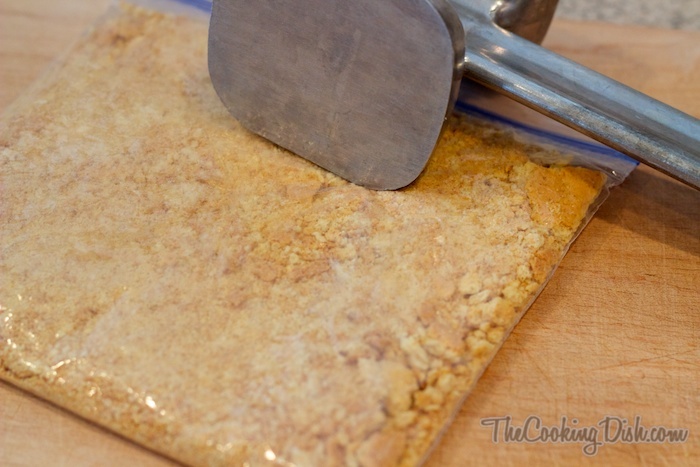 You could also use a rolling pin or even your feet—whatever gets the job done really. Melt the chocolate. The image below shows my ready workstation. The nuker makes for easy chocolate melting. 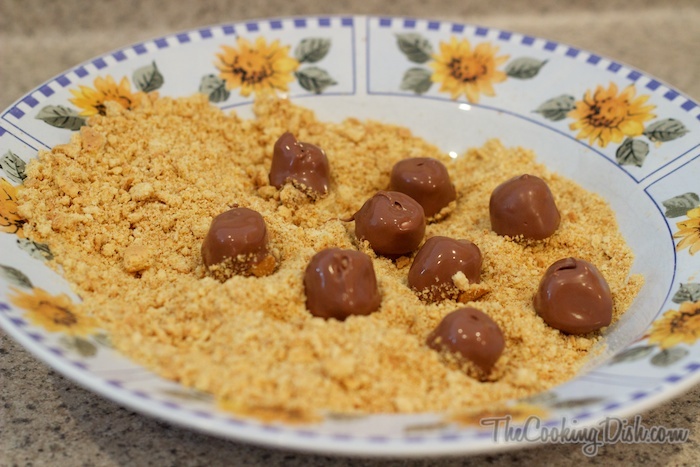 In a microwave-safe bowl, add the chocolate and cook for 30 seconds at a time. Stir after each interval. 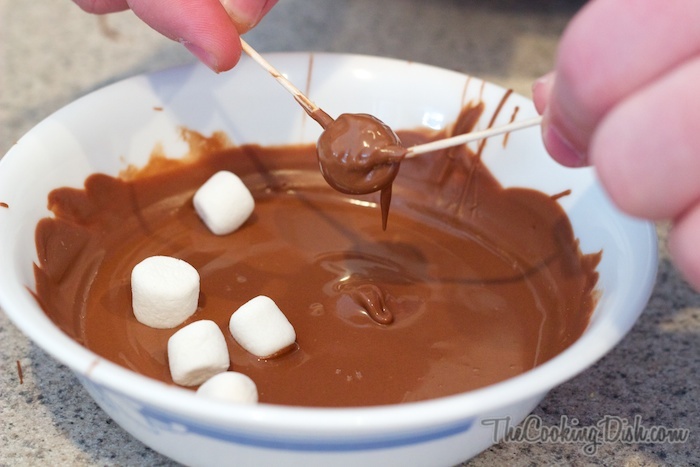 When 3/4 of the chocolate is melted, keep stirring and the rest of the chocolate will melt. I find the best dipping is when your chocolate is between 80°F and 90°F. 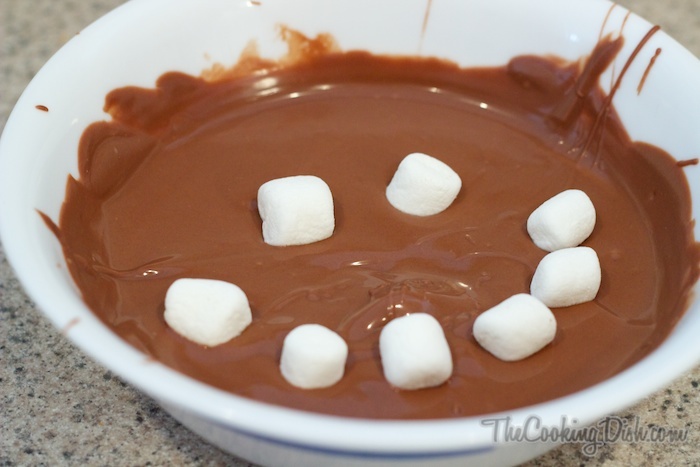 Add a few marshmallows to the chocolate. Believe me when I say they’ll be happy to be there. 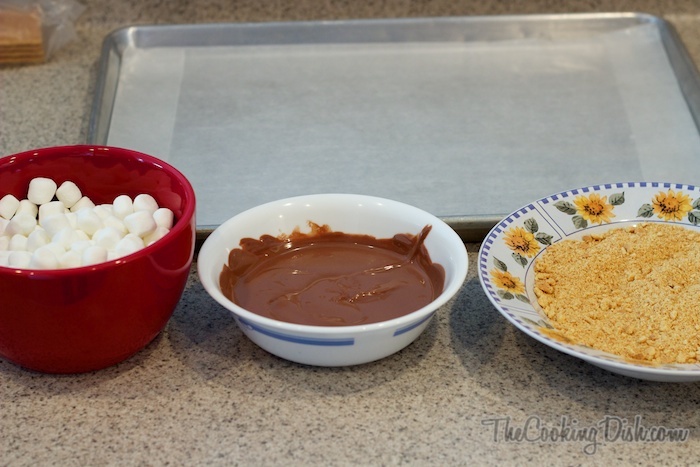 Roll the marshmallows around in the chocolate, then pull them out. I found that toothpicks were an efficient way of doing this without wasting chocolate. 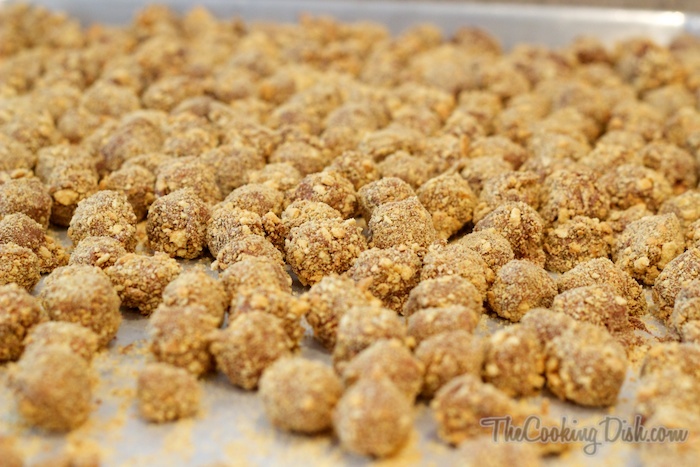 Roll the chocolate-drenched marshmallows in the crushed graham crackers. 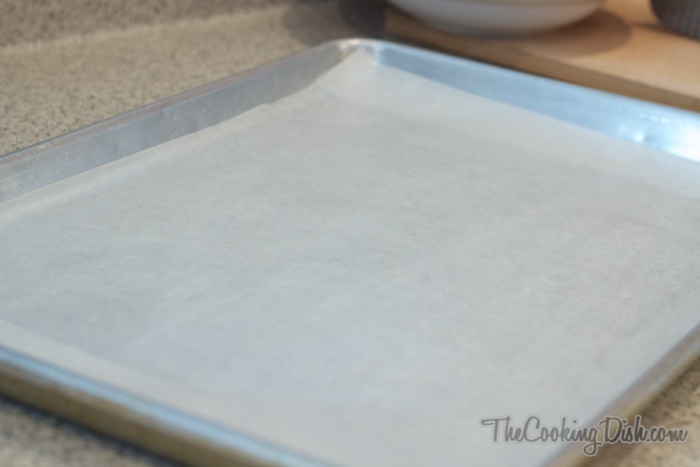 Place the finished product on your wax paper and let the chocolate set (about 5 minutes). 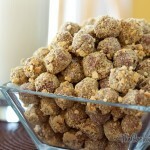 Place in a nice party bowl and serve up! My favorite way to eat these is to freeze them for at least one hour. They’re absolutely awesome when frozen. But guess what folks? That’s not all! Don’t limit yourself to graham crackers. 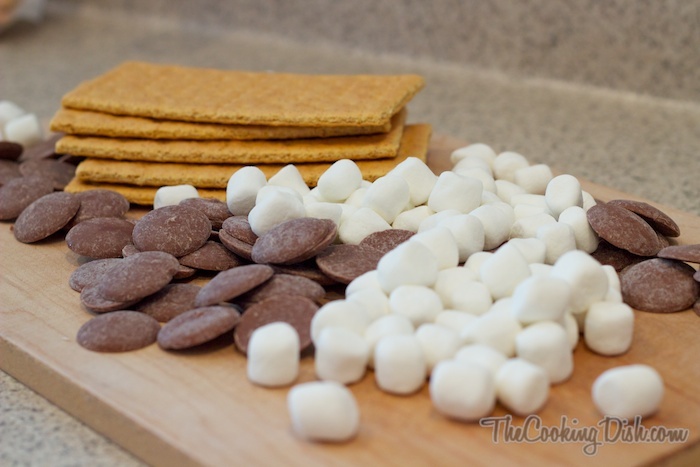 There are countless goodies you can use in place of graham crackers. In the picture below (left to right) I’ve used a variety of toppings: crushed Butterfinger, shredded coconut, crushed Oreo cookies, crushed Heath Bar, Nerds, and crushed cashews. 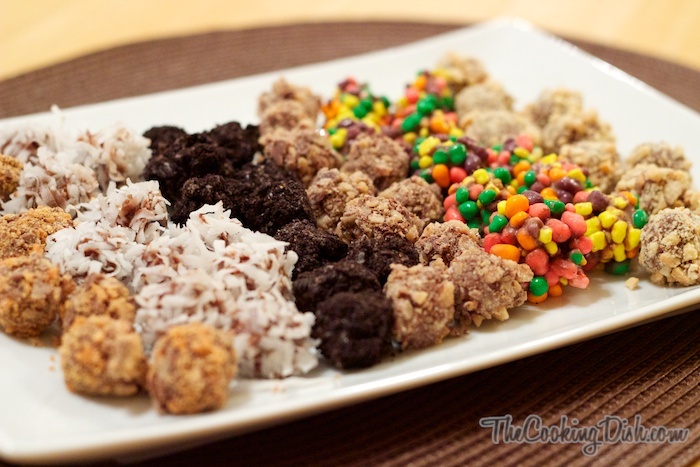 I like to refer to the coconut ones as Snowballs, the Oreo ones as Mud balls, and the Nerd ones as Nerd Bombs (eat one, you’ll know it’s appropriately named), and the nut-covered ones as Nut Munchers. By the way, your kids will love these… these aren’t your kids, but if yours are anything like mine, then I speak the truth. Thanks Kim! You should give them a try, they’re pretty darn tasty. Yum! I love easy recipes like these. I bet it would be fun to make them with large marshmallows too. 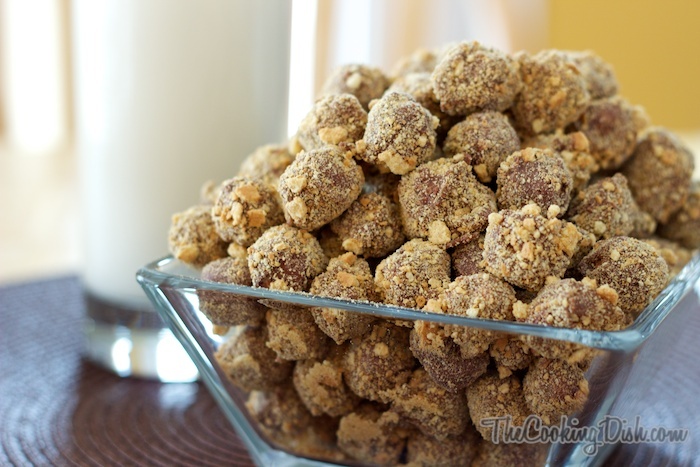 Making these for family night! Great timing. Thanks! Heck yeah! Enjoy 🙂 My kids loved making these with me. 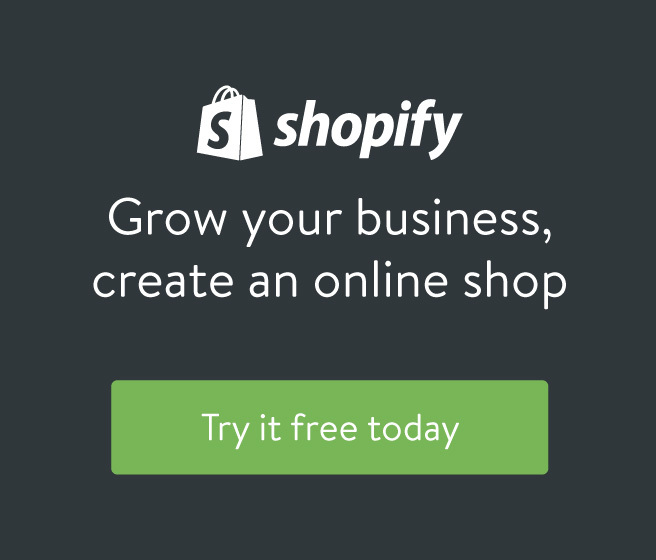 I love your site– everything about it! 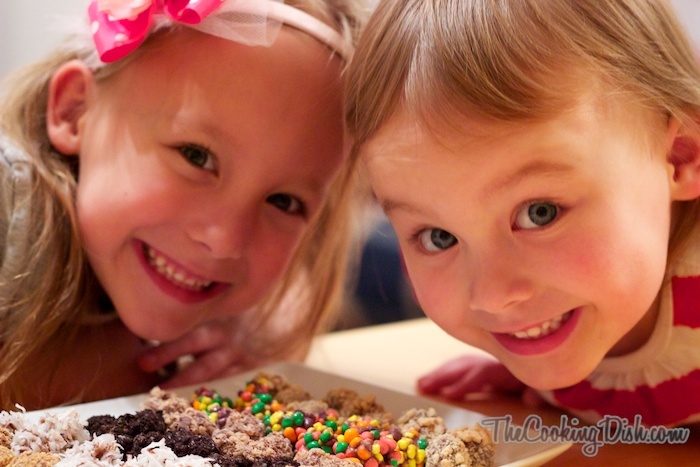 Your philosophies on life, learning and kids are absolutely wonderful and your recipes are delicious. I’m so glad I found your blog! Hi Rene, thank you for your kind words. the link on the page to print the recipe is broken. is there a way to get a copy of this recipe in pdf in another part of your site? Thanks for the heads up. I’ll get it fixed a.s.a.p. You had me at “ridiculously simple.” Three ingredients is about all I can do when it comes to cooking. These look awesome! Just made these for a sleepover tonight. They are so yummy! All I had on hand were semi-sweet chocolate chips but they are delicious. Just bagged them up into individual cute bags and put them in the freezer for my daughters and their friend to enjoy tonight. Since they will be munching on them while watching the ‘Smurf’ movie, we are saying that Smurds stands for ‘Smurf Turds’. 😀 Thanks for the great recipe! Love, love, love it! So glad you’re enjoying these. I too have a bag in my freezer right now. Super nice to just munch on now and again. 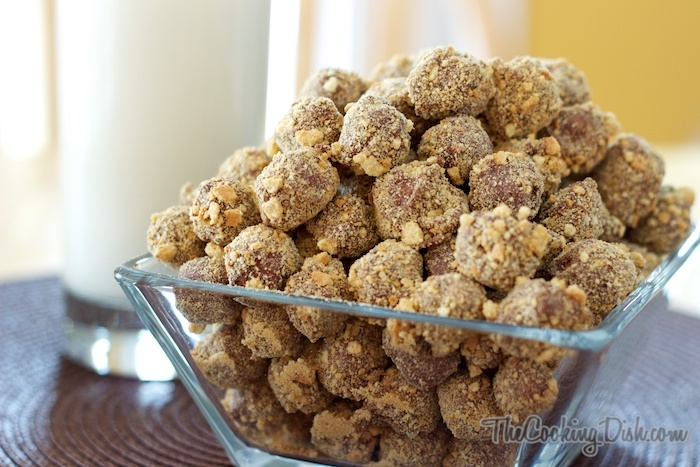 We make these at Christmas time and call them Reindeer turds! Ha! I’m sure my kids would be all over that name. I am impressed! So simple yet so amazing! Can’t wait to give these a try! 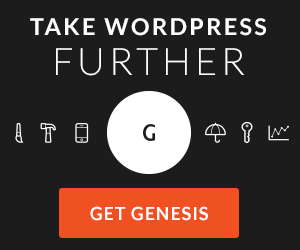 Love your site Chris! Thanks for stopping in Hydee!